SERGE FERRARIS T A M 6 0 0 2 STAM 6002 composite membrane is a high-performance material for diverse lightweight structures providing great flexibility for easy handling with benefits of a state-of-the-art Matt PVDF surface finish to minimise unwanted glare while providing exceptional r..
SERGE FERRARIS T A M O I D P U R E Stamoid Pure is a lightweight and durable flexible composite material designed specifically for polluted environments in the marine industry. 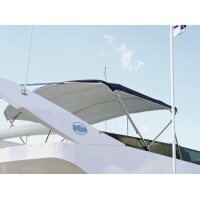 Used for a variety of applications, including Bimini tops, cockpit enclosures, sprayhoods, equipment covers a..
SERGE FERRARIS T A M O I D T O P M A R I N E V I N Y L Stamoid Top vinyl coated polyester marine fabrics offer outstanding features for a wide range of exterior marine applications. 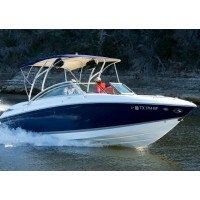 Stamoid Top is vinyl coated on both sides for extra strength and provides a..
SUNBRELLAMarine Canvas with Unparalleled Performance Never Compromise You depend on your boat, whether it’s your livelihood or your passion. So you don’t cut corners. You go with what performs, time after time. 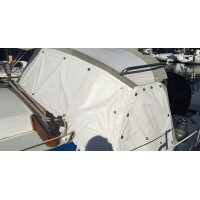 That’s why Sunbrella® fabrics have been the trusted choice of boa..
S U N B R E L L A P L U S Marine Canvas For marine enclosures where water repellency is crucial, Sunbrella Plus will thrive on the water time and time again. 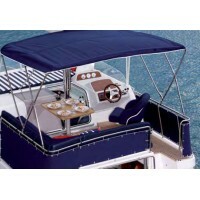 Featuring a unique polyurethane and acrylic undercoating for maximum water resistance, Sunbrella Plus offers a proven solut..
S U N B R E L L A SU P R E M E Marine Canvas Sunbrella Supreme is the answer to all the boaters’ desires for waterproof performance along with the quality textile finish of an interior fabric. 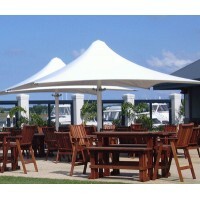 Sunbrella is the only company to offer such an exterior marine fabric with both an..